HI Folks: Our Sunday practices are zipping along. It’s never to late to come out. We are just finishing off Tanz Tanz this week and have an ambitious bunch of new tunes from South & Central Europe – Come Back to Sorrento, Tarantella, La vie en rose, Hanter Dro. Remember, it’s all on the website. I am working hard to update all music so that there are rhythm parts for everything. I replaced El Condor Pasa this week (which now has a nice simple rhythm part) and will be gradually making sure they all have rhythm parts and chords. We’ll let you know when anything has changed but you have to sign up as a “Follower” on the website to get e-mails. 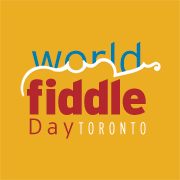 That’s the only way we can create a master list of World Fiddle Day fiddlers.